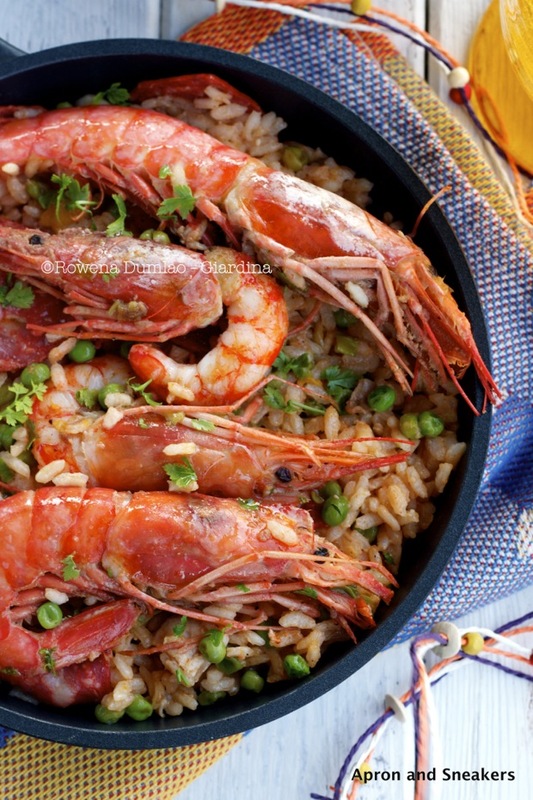 I think of paella all the time and the best one I have tried is of course, in Spain. When I think of Spain, I think of paella. That is my word association, a place is always connected with food. Isn't that my life now? Food is officially running my life but I am not complaining. The Philippine kitchen is greatly influenced by the Spanish cuisine, among others, even Chinese and Malay. 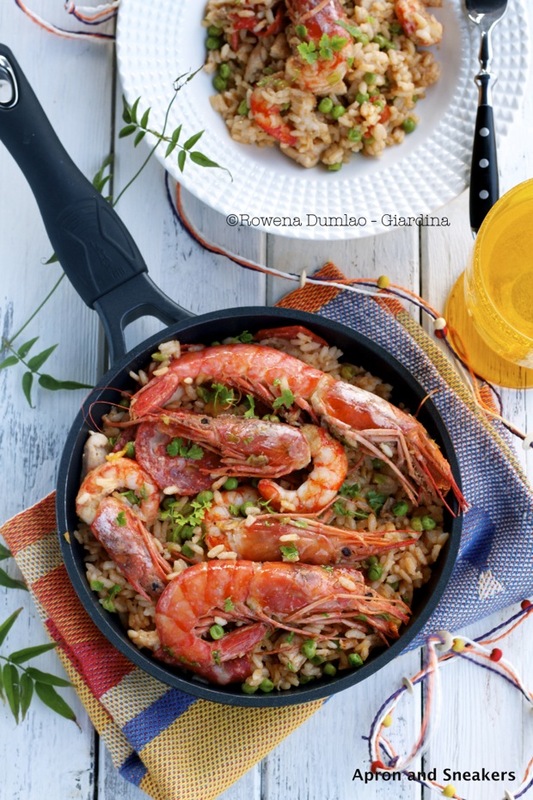 Spanish, because the Philippine archipelago had been dominated by Spain for 300 years, thus the Spanish gastronomy. They left a long, long time ago but they left deep roots in the food. One of them is paella. Paella is served on special occasions in a paellera, which, ahem, I'm embarrassed to say, I still don't have. 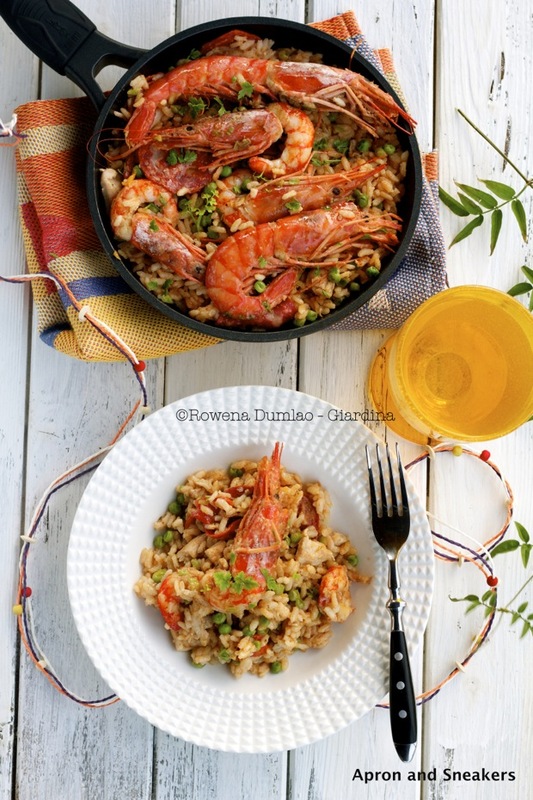 I never really tried cooking paella on my own because I don't have the proper cooking pan but after watching Lorraine Pascale in her cooking show, I was mesmerized by the fresh colors of the ingredients and my yearning for paella started. It's been a long time since I had one. A little bit of tweaking of Lorraine's recipe and I had my own to enjoy. It's not the genuine one that you would have in Spain but it is very good and rightfully earns a spot on my list of recipes to keep. I would do it over and over again until I go back to Spain and perhaps learn a more proper one and get myself some proper rice. 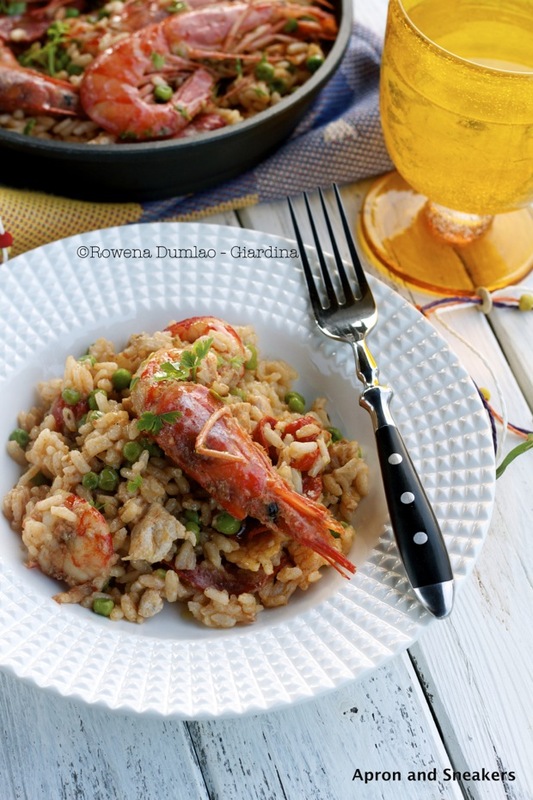 This mixed paella has outstanding flavors, unforgettable I might even say. And I would like to share it with you. I hope you enjoy it like we did. Brown the chicken in a saucepan with extra virgin olive oil for about 5 minutes. Season with salt & pepper. Add the chorizo and sauté for 3 minutes. Add the garlic and sauté for another minute then add the smoked paprika. Pour in half of the sherry and let the alcohol evaporate. Add the rice and mix with the ingredients in the pan well. Pour in the chicken broth and saffron then bring to a boil. Turn the heat down to a simmer for about half an hour. Cover the pan half way through simmering. In a second pan, heat some more oil and add the spring onions, then toss in the whole shrimp & sauté for about 3 minutes then add the peas and the grilled peppers. Season with salt & pepper. Add the remaining sherry. Let the alcohol evaporate. Transfer the shrimp, onions & peas into the pan with the chicken, chorizo & rice. Don't mix. 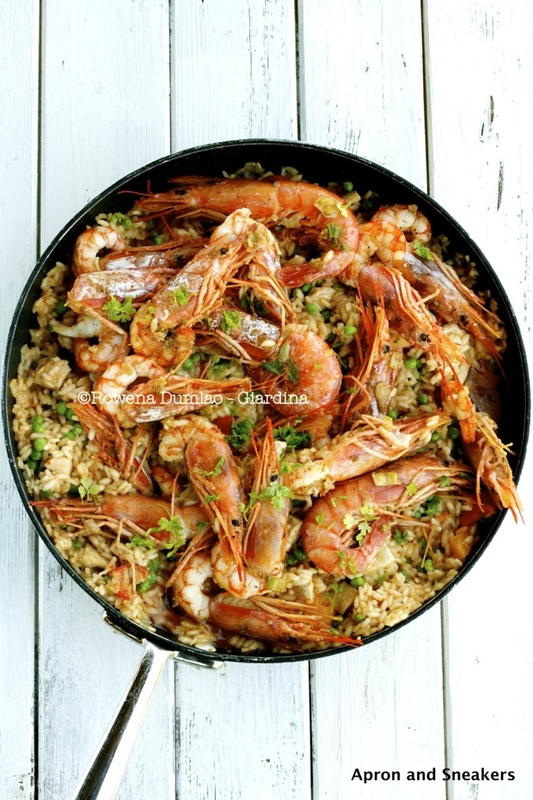 The paella should develop a layer of toasted rice called socarrat at the bottom. Garnish with roughly chopped fresh parsley and serve.